Redeemer Lutheran Church’s 100-year story continues to unfold as our diverse community worships and serves together reflecting the kingdom of God on earth. Our congregation’s deep impulse is toward a dynamic, impactful ministry through the development of authentic, transformational relationships and open doors with the surrounding community. As a “beacon of hope” in the Harrison neighborhood, we worship and pray together, study the Bible, and provide a variety of activities and opportunities for ministry including an all-ages choir, hip-hop dance, sewing, Sunday school, quilting, youth group, and more. As an extension of its ministry and with help and involvement from our suburban partner congregations, Redeemer formed the Redeemer Center for Life in 1998 as a 501(c)(3) non-profit organization. A member of the North Minneapolis Harrison Neighborhood since 1909, Redeemer Lutheran Church seeks to be a faithful witness to the love of Jesus Christ for all people and strives to be a safe and caring space for area residents, especially children and youth. Redeemer Lutheran Church and the Redeemer Center for Life serve the physical, mental, and spiritual needs of the North Minneapolis community, in partnership with individuals and organizations, through youth programming, affordable housing, educational programming, and faith-based activities. Redeemer is committed to being a fully affirming and inclusive congregation where people of all ages, races, genders, and orientations are welcome to celebrate, participate in, receive, and share God's embrace. We invite you to come as you are, and join us in authentic and spirit-filled prayer and worship in action. 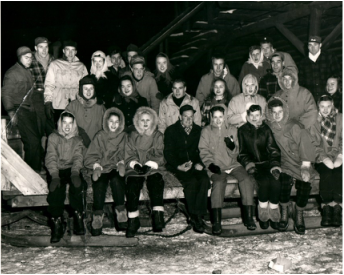 Redeemer's "Luther League" Youth Group on a retreat in 1947! 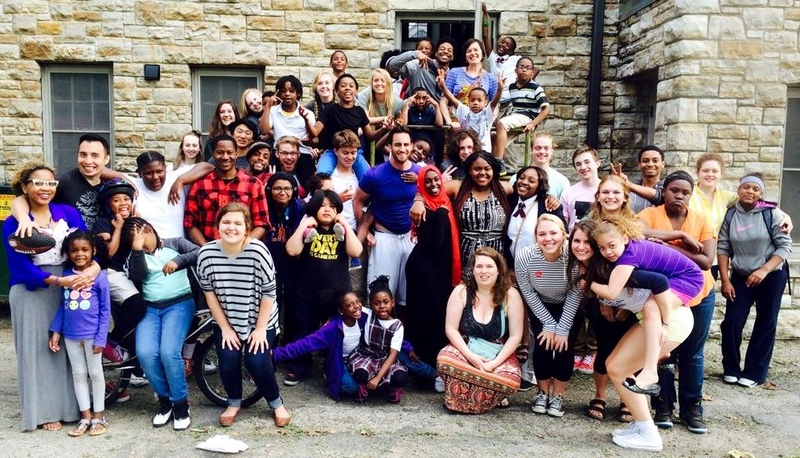 A sampling of Redeemer's youth group and Redeemer After School Program (RAP) in the spring of 2015. Click here to learn about our church leadership, including our staff and council members! Click here to learn about our partners, who contribute time and treasure to help make our ministries possible. Click here to learn about Redeemer's history from 1909 on, and then consider how you could be part of Redeemer's future. Click here for our events calendar. We'd love to see you at Redeemer!